The firm, which replaced Zeno Group on the account earlier this year, will work to boost Dickies' work wear clothing and launch a casual wear jean product. FORT WORTH, TX: Performance work wear brand Dickies has named Imre as its PR AOR, focused on U.S. customers. Imre is working to drive integrated strategies across paid, earned, owned, and social media to shape a strong and cohesive narrative about the Dickies brand. Its primary goal is to create meaningful connections between Dickies and its customers, while staying true to the brand’s heritage. "We will be bringing the stories of Dickies’ customers to life through proactive and experiential media relations, influencer relations, brand journalism content, and social engagement," said Mark Eber, Imre partner and president. He added that Imre is helping Dickies communicate with its core customer in a unique and authentic way to emphasize its position as a work wear brand and drive sales. "It is really important to know who that customer is, know how they want to receive information, and give that info to them in a viable and authentic way," Eber said. Imre will focus on helping Dickies sell its work wear products, but it will also assist the brand when it launches a casual-wear jean product in the fall. Eber did not elaborate on specifics for upcoming campaigns. Representatives from Dickies declined to comment. Imre account manager Kristi Volke is heading a team of eight staffers on the account. Budget information was not disclosed. Imre started working with Dickies at the end of February, after an RFP process that began last December. Zeno Group was the incumbent on the account. Prior to hiring Zeno in 2012, its sister agency, Edelman, was Dickies’ AOR for the previous seven years. 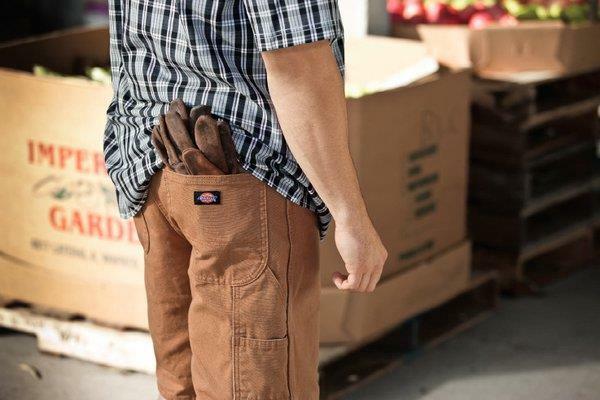 Founded in 1922, Dickies’ products are available in more than 100 countries. Imre’s client roster also includes AstraZeneca, Becton Dickinson, California Pizza Kitchen, John Deere, Patagonia, Penn Mutual, PepsiCo, PowerBar, and T. Rowe Price.